The reason the atmosphere is saturated, is because of the cold air – which can hold less moisture. This is something most science students learn in high school, but apparently our top PhD climate scientists are unaware of it. 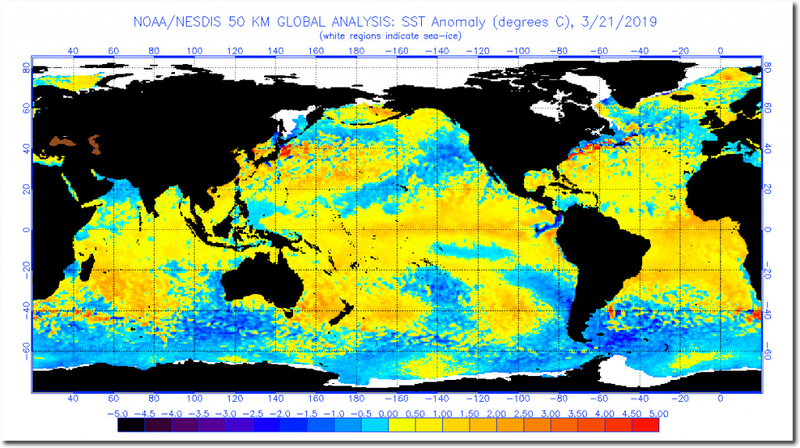 Sea surface temperatures are also mostly below normal west of the US. The claims by the climate scientists have no basis in reality, which is standard practice for their profession. 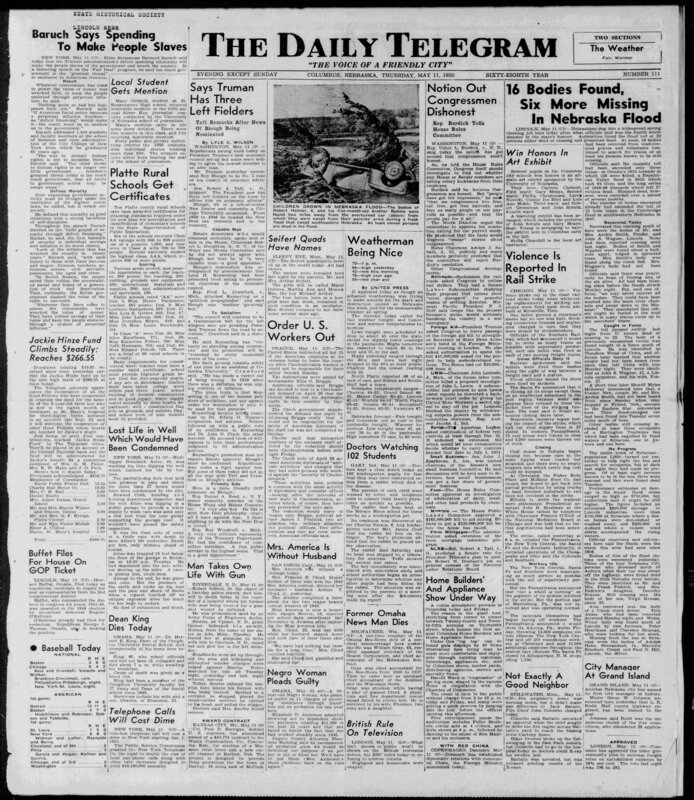 Nebraska has a long history of floods. 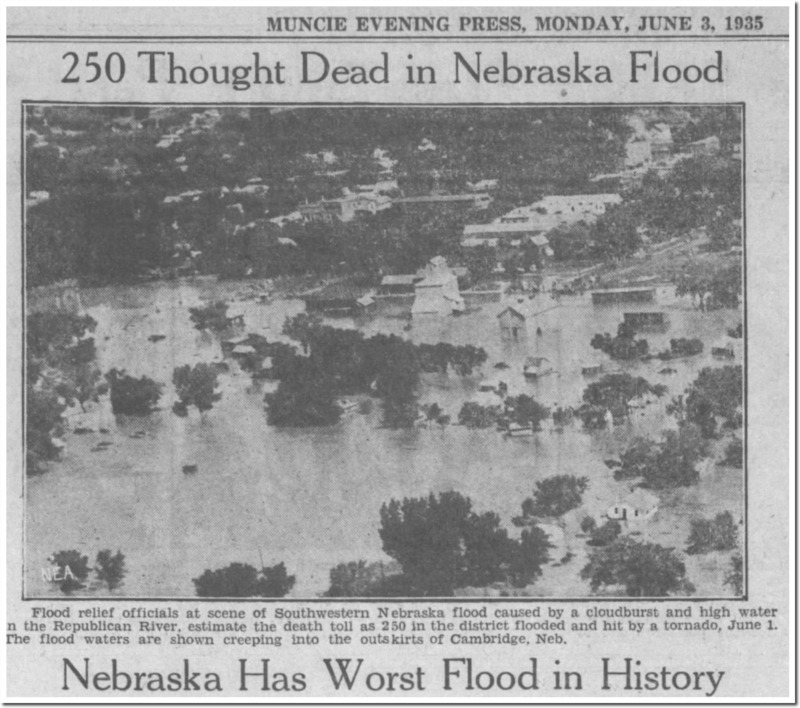 The 1935 Nebraska flood killed more than 100 people and was associated with the world record rainfalls in Texas and Colorado. 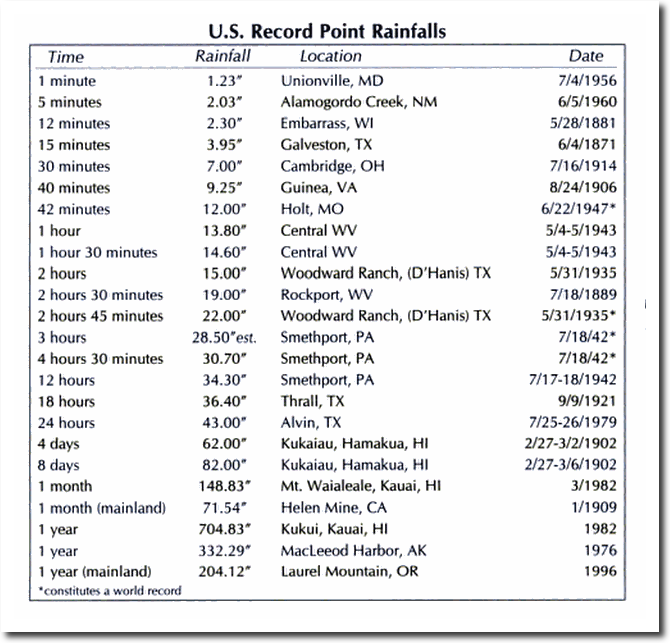 On May 31, 1935 Woodward Ranch, Texas set the world record with 22 inches of rain in less than three hours. Colorado got nearly that much rain a few hours earlier. 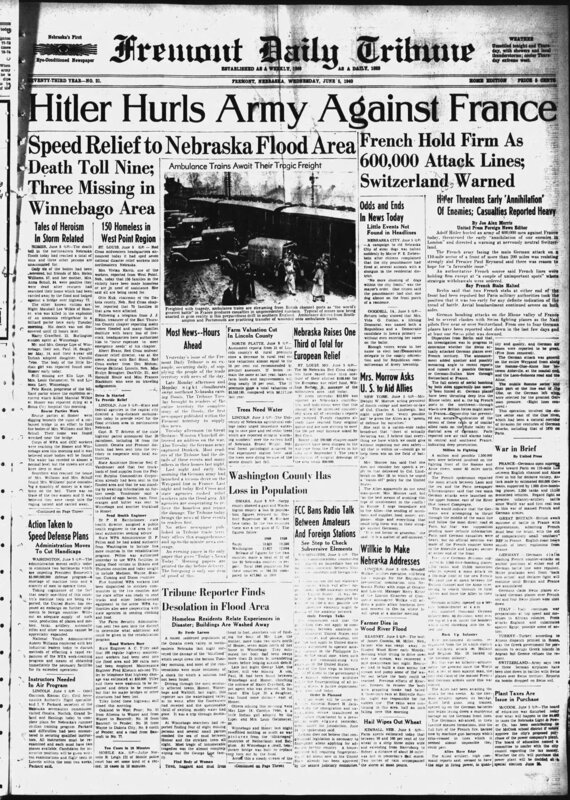 Similarly, the record floods of 1936 came after the coldest February on record in the US. 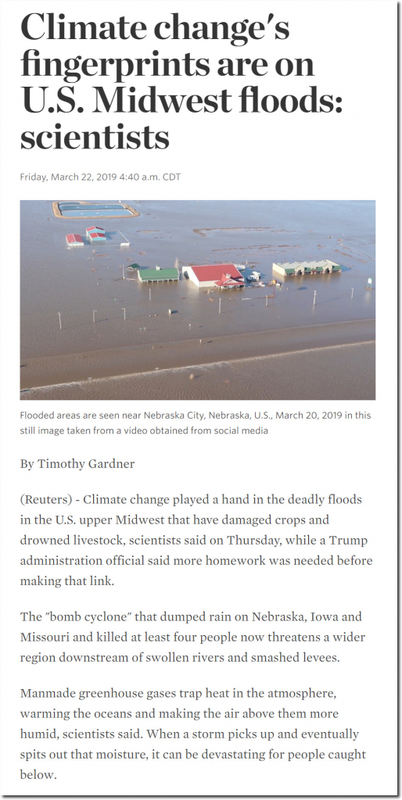 Climate science and journalism – all lies, all the time. 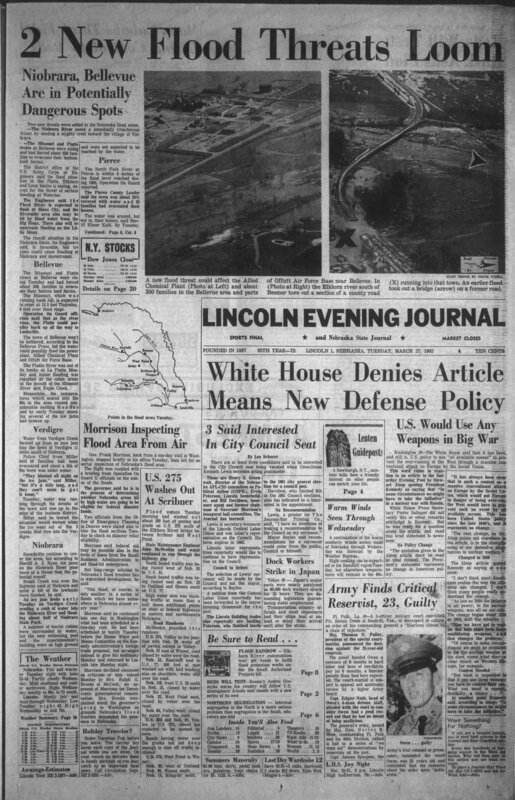 didn’t a dam failure cause most of the flooding? not rain? 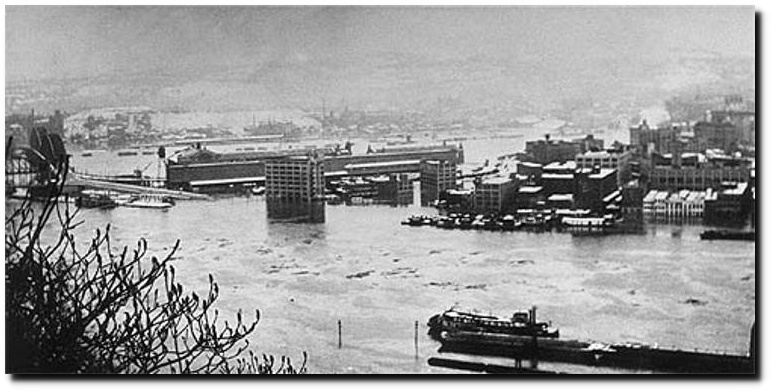 Swollen rivers from heavy rain and melting snow and ice are the primary cause. 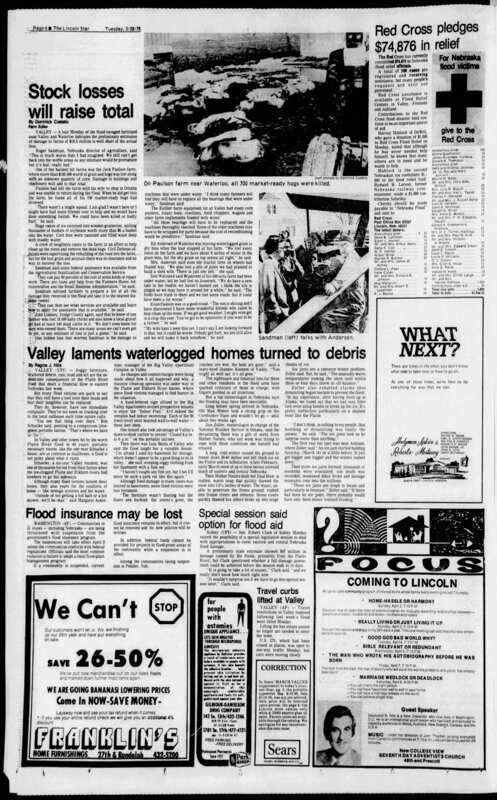 Some levies and dams became overwhelmed and failed as has happened for as long as animals have built them. Nah.. They know, but they’re trying desperately to use a natural fact without a shred of proof that it ties into their superstition that earns their living. I’m sure every one of these self-proclaimed “scientists” will have to pay it all back one day in more ways than just tar and feathers. Maybe we test them for witchcraft – throw them in a lake and if they float, they’re a witch because the water rejects them, if they sink and drown, well.. If they want to use middle-ages superstition then they better be ready to abide by its rules. Yes, climate “science” has become metaphysical, speculative and unsupportable. Now i wonder why the thing that is saturating the atmosphere does not and never plaid a role in global warming though it is a far superior climate gas and at the same time(fully saturated )can be found in quantities dozen and dozens of times higher than co2. 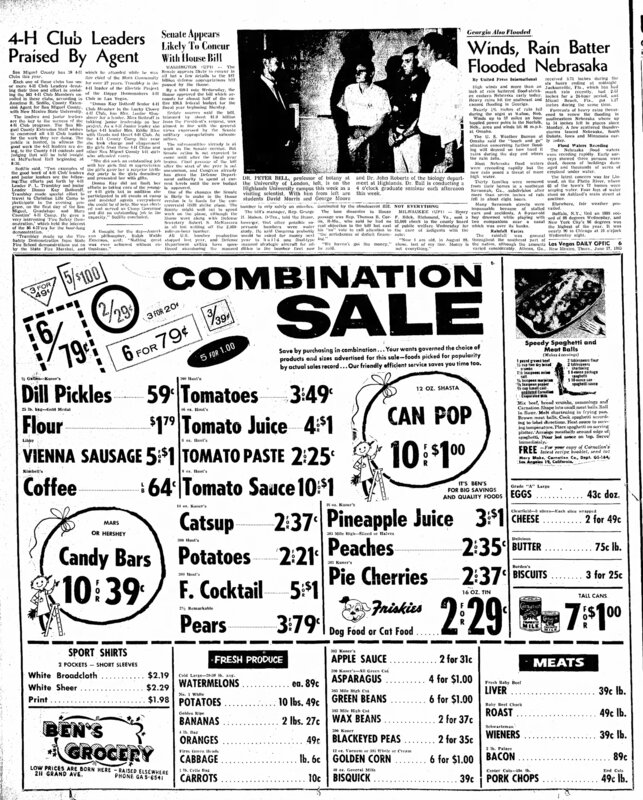 (another thing about the saturation=the thing from the past. It does not follow the way of the rain but remains on the surface. Therefore on sunny days,even cold ones,snow turns into vapor as result of sublimation. 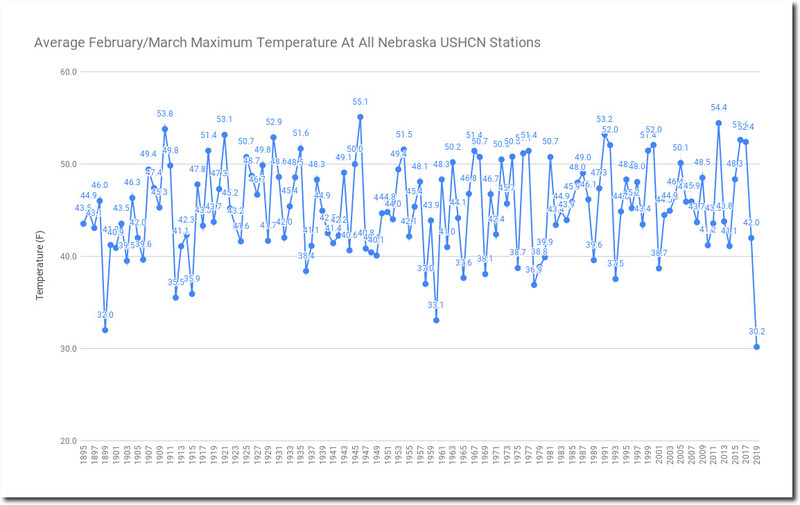 I am working in Sioux Falls and the temperature in South and North Dakota (and other mid-western States) was so cold that the normal snow-melt cycles throughout the winter did not occur. Snow accumulated all winter. The lowest temperature I recorded was -29 F. Last week, the temperature rose substantially above freezing and we had 2-3 inches of rain. 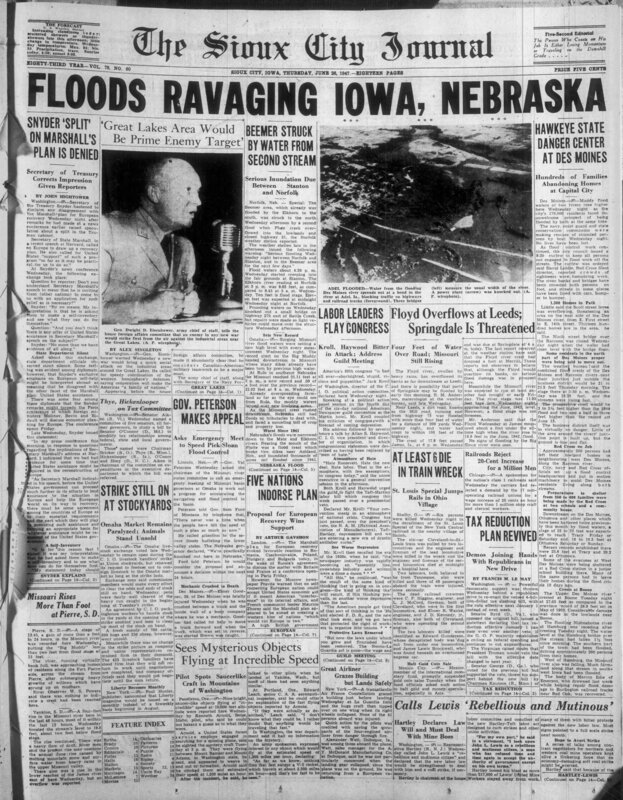 Nebraska was the flood plain for the massive glaciers that melted thousands of years ago, and it is the flood plain now that extreme cold has passed. always hide your crimes behind good intentions and moral supremacy. 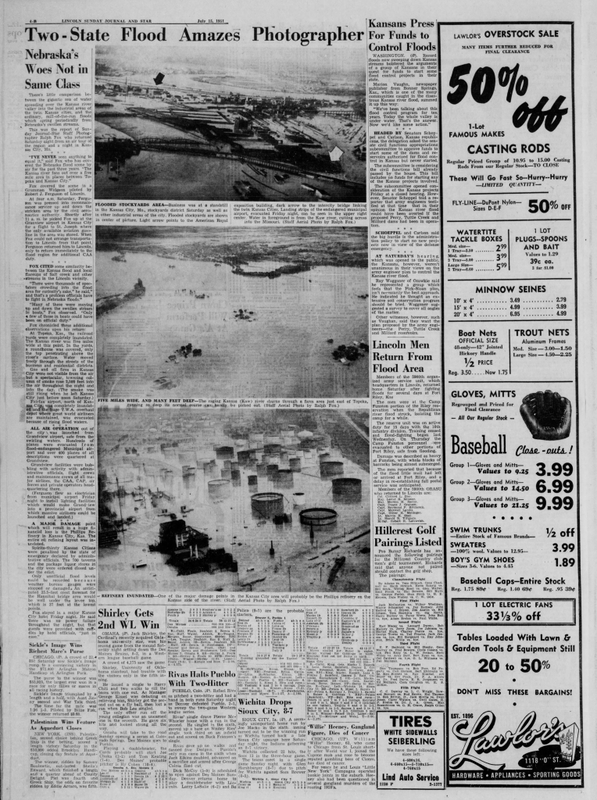 A larger part of the flooding along the Missouri river was man made. People think we can tame and control the great rivers. In the long run we can’t do so any more than we can tame and control the weather and climate. They are dynamic systems with a power and complexity far beyond our abilities to tame. They are ever changing and we must allow them to remain so to some extent because really if there comes a day when we humans do gain total ultimate control we will kill the very essence of what rivers and the ecosystems that they foster and support are. Some say there is two certain things in life: death and taxes. But, there is a third certain … death, taxes and change. Anyone look at all the notable articles and research done on the FACT that the moon has been pulling away from the Earth about 1 inch per year for hundreds if not thousands of years…and THAT is a certain cause of unstable weather patterns…oh wait… there’s nothing you can do about that so you can’t make any money off sheeple…. 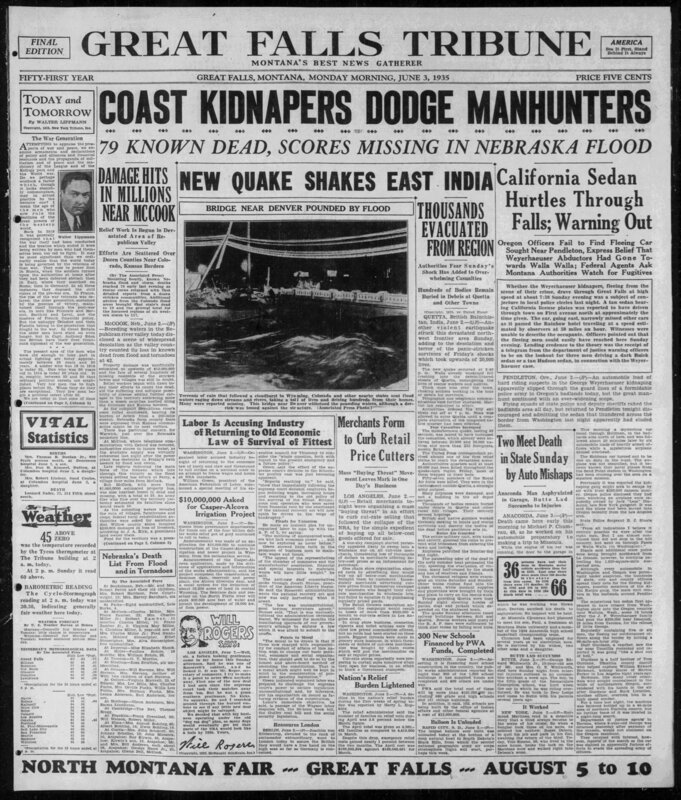 Nice to see these inconvenient historical articles in spite of Google making them harder to find. 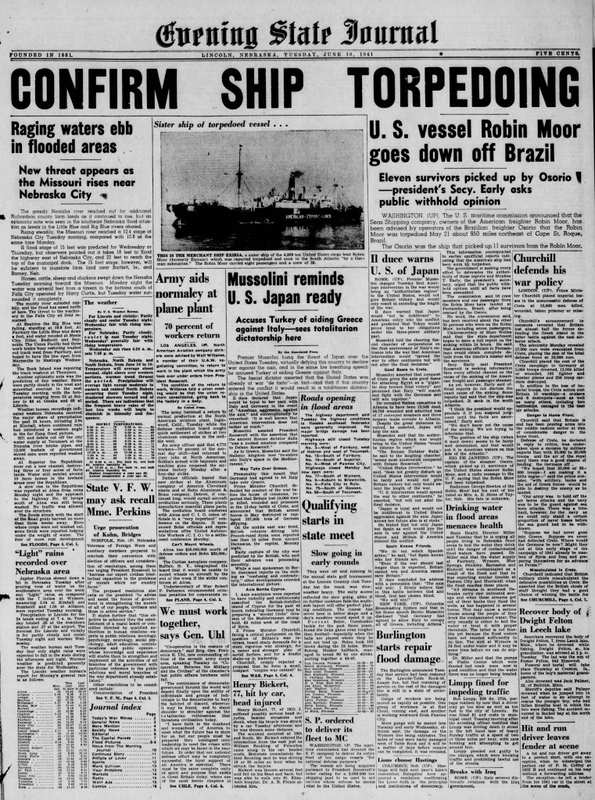 -A comment about ocean temperatures in this post. Although the Pacific Ocean’s temperature to the West of the U.S. is below normal right now, moisture in precipitation over Nebraska does not come from the Pacific; it comes from the Gulf. That fact does not detract from the theme of the post, but we should be aware of this fact. Earlier this decade, mind-boggling snow in the west fell when the Gulf was below-normal temperatures; and snow fell in the Southeast when the Atlantic has below-normal temperatures. 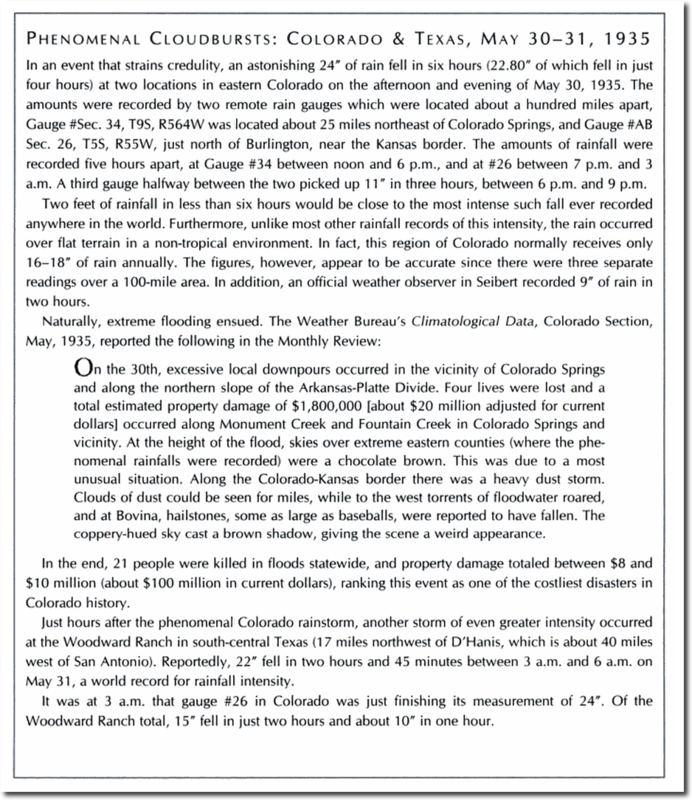 And the snow that fell was not particularly high-moisture snow It took years for the science to be acknowledge is the media: it snowed because temperatures were cold, not because there was a lot of moisture in the air.